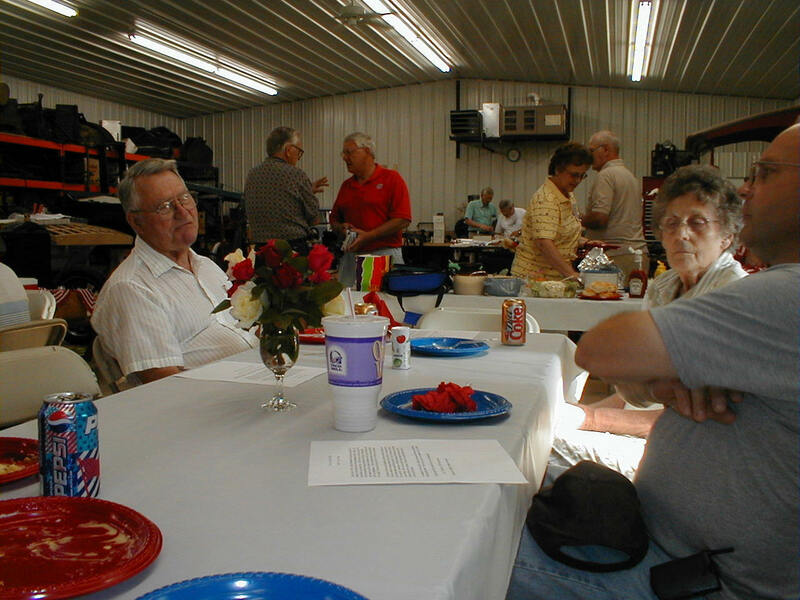 The July meeting (indoor picnic) was held at Jack Putnam's shop in Bluffton. Bob Torbet held a short meeting with 20 members and friends in attendance. The treasurers report was read and approved. Bob Torbet and Bill Mack are planning the upcoming tour to Kelly's Island. Kelly's Island was chosen because it is less of a tourist trap and therefore we will not run the risk of the Ferry to and from the Island being too full. It will be up to the tour participants to make hotel arrangements at the Lake Point Motel on the Marblehead Peninsula 419-798-4684. Contact Bob or Bill for further information on the tour. September will make for a full month of Model T fun. Labor Day weekend is the All Ohio Model T Jamboree near the Ohio River. 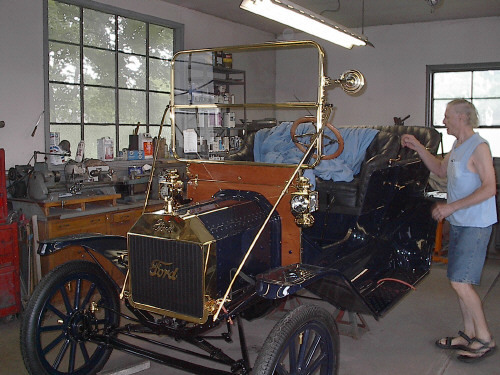 The next weekend is the Old Car Festival at Greenfield Village. And, the weekend of September 13th and 14th is the Kelly's Island tour. After the meeting everyone enjoyed a time of fellowship and discovery. 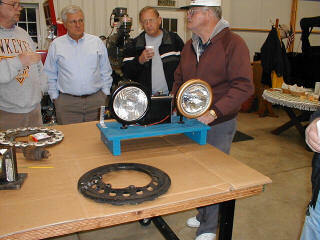 Bill and Melvin talked about the progress that they were making on Melvin's 1911 touring. It should be done by the time that this newsletter gets mailed out. We are happy to announce that Jack and Marilyn Putnam have gained a new son-in-law out in Seattle. And at the same time, we are sad to report that Rodney and Marge LaFollette have lost a son-in-law to a drowning accident in Red Bay, Ontario. Please keep their daughter and grandchildren in your prayers. Jack had some interesting old tools sitting around and an engine that he is working on with oil slingers in place of the magnets. Some guys just prefer those distributors. Coils were tested and parts were inspected as always. 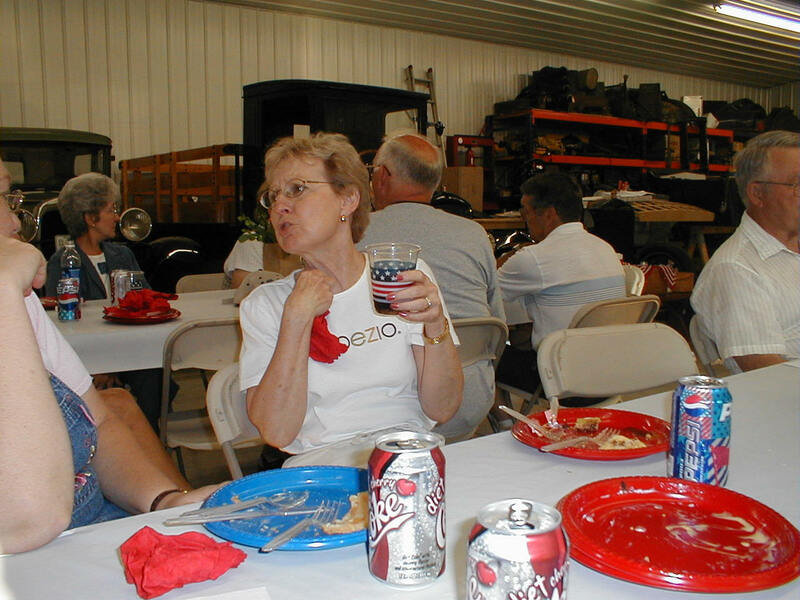 The summer picnic was held indoors so that the club members could eat rather than be eaten. The mosquitos are rather intense this year due to the good amount of spring rains. Maybe we're all getting a little soft; but, I think that we enjoyed ourselves a lot more inside amongst the cars than we would have in the great outdoors. If it's any consolation to the purists out there, the hotdogs were cooked outside on the grill. I had a hard time getting these shots during the meal. I hate it when someone takes a picture while I've got my mouth open with food going into it; so, I had to time my shots to make sure that I didn't get an errant fork or spoon in someone's face. 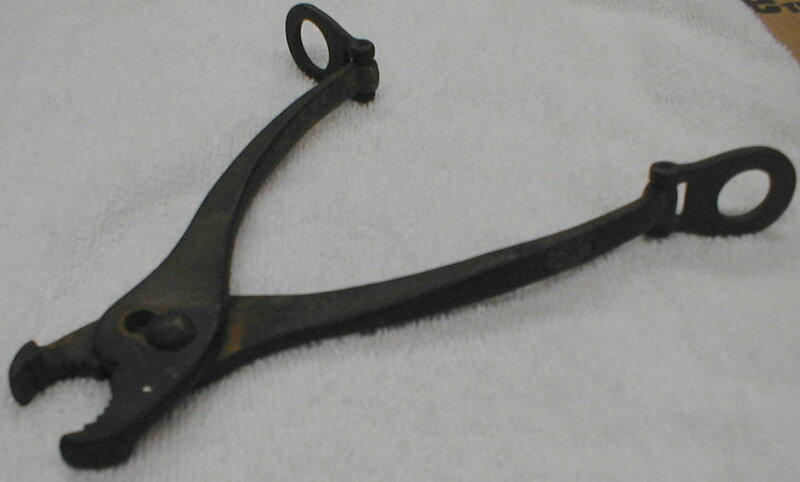 identification to this tool, please enlighten us as to its use. 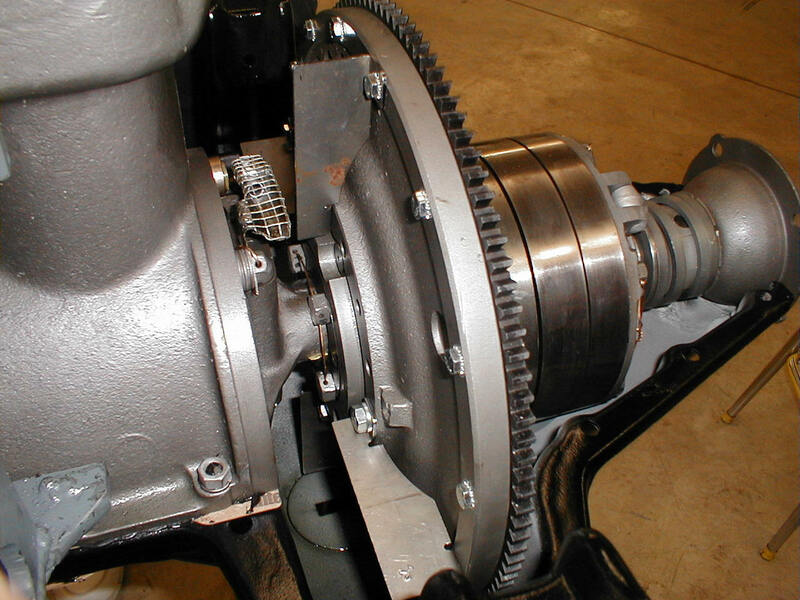 It is far too flimsy to support any type of pressure or weight. The tool to the left has been identified as a totally useless tool from the era that shows very little wear. This is probably because, to use it as intended would cause a lot of sparks. Come to the August meeting and check it out. Sieberg flawless workmanship. Much of this car has been built with New Old Stock parts that have been collected over the years. 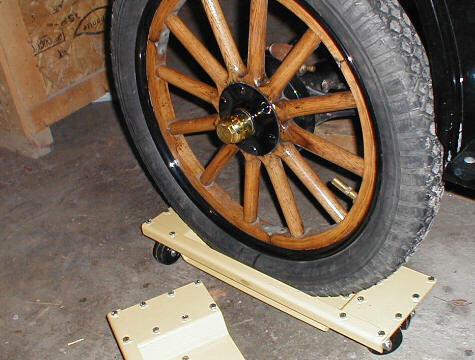 As most builders who have tried a project like this one know, a brass car is expensive to put together. The parts from the brass era are a lot harder to come by and the people who sell them at swap meets seem to know about the supply and demand equation. With the two man top up and roughly fitted the guys take a short break before final tension is put on the fabric. 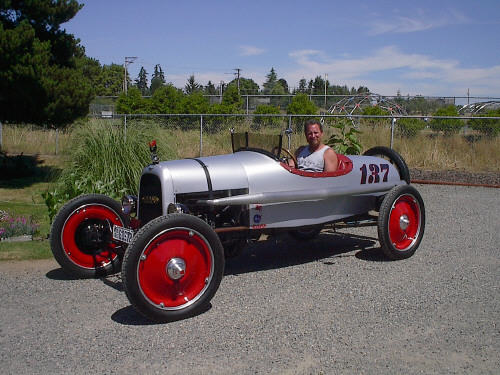 Pictured from right to left are Melvin Geirhart (owner), Bill Sieberg (builder), and Leroy VanAllen (Bill's muscle man). 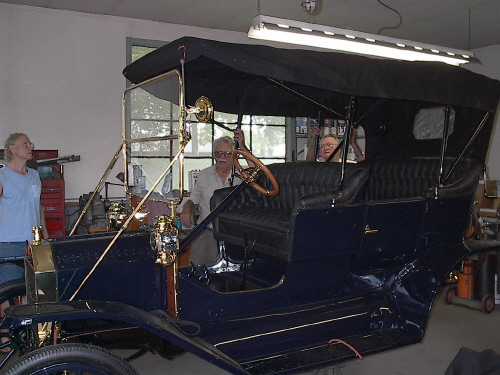 Once this car leaves the shop, the brass polishing will be all up to Melvin. We expect to see this car on the All Ohio Jamboree, Melvin. Ohio Jamboree: Labor Day Weekend, August 29 - September 1. This is a tour of Kelly's Island, Marblehead Peninsula, and Lakeside. On Saturday we will take the Ferry from Marblehead to Kelly's Island. The time to leave is up to each driver. We will tour the island with supper scheduled at 6PM at the Village Pump. After supper we will Ferry back to Marblehead to the Lake Point Motel, this will be our headquarters. There are a limited number of rooms available at $57/night. First come first serve, call 419-798-4684 for reservations. On Sunday we will tour Marblehead Lighthouse and the keepers house. There are a number of antique shops for those who like to shop. 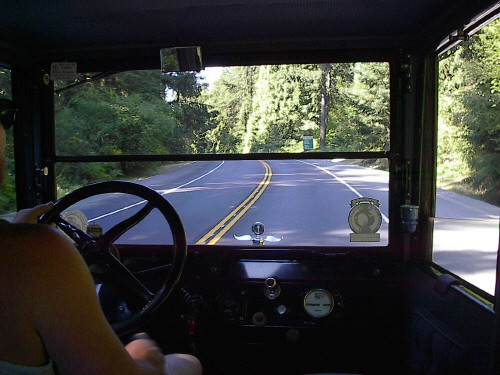 There are also a lot of old quarry roads in the area for touring. Lakeside is also nearby for a short tour down narrow village streets. Jack Putnam arranged to meet with Steve Tomaso in Seattle while he was there for his daughter's wedding. 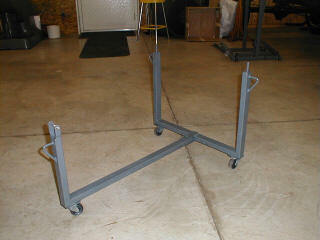 Steve finished off an installation on one of Jack's rebuilds that was sent to the Seattle area. 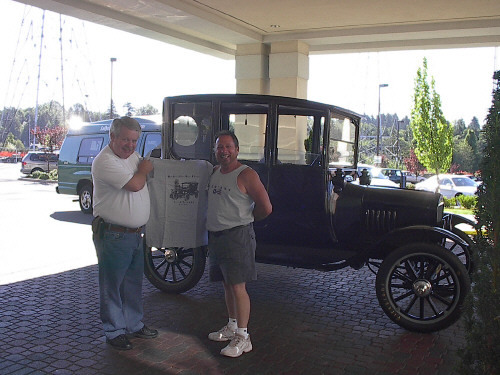 Here we see Jack presenting Steve with one of the 2002 All Ohio Jamboree T-shirts. 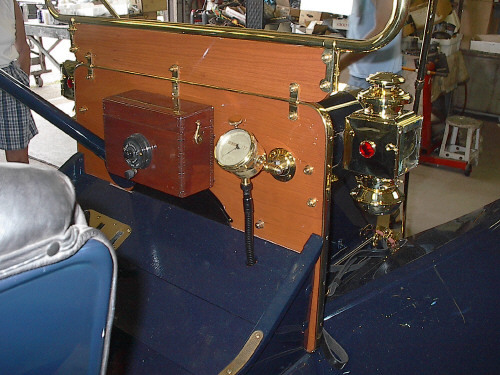 An impressive view from the back seat of Steve's 1919 Center Door. Jack was able to spend a couple of hours in Steve's shop while the girls were busy with wedding things. Its good to have an escape route planned ahead of time for just such occasions.